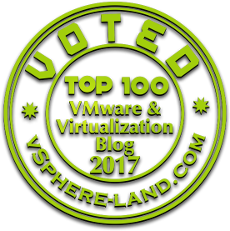 Dedicated another Guest Blog Post @ Vembu Technologies Blog which is a privately held, information technology company that specializes in developing software products inBackup, Disaster Recovery and cloud storage domains. Vembu’s products serve data center IT-Administrators in small and medium businesses managing VMware, Microsoft Hyper-V andPhysical Server environments and was founded in 2002. 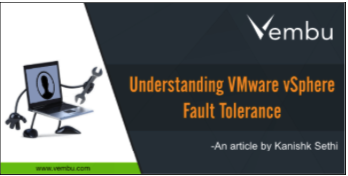 This blog post provides a quick link to the original post dedicated at Vembu blog Understanding VMware vSphere Fault Tolerance which highlights the functionalities and talks about the architecture.